The UNDP Seoul Policy Centre for Global Development Partnerships (USPC), in partnership with the UNDP Vietnam Country Office, the Anti-Corruption and Civil Rights Commission (ACRC) of the Republic of Korea, and the Government Inspectorate of Vietnam, organized a three-day workshop in Hanoi, in December last year to share with Vietnam the ACRC’s Anti-Corruption Initiative Assessment (AIA) tool and experiences. The AIA is an annual exercise for corruption prevention in the Republic of Korea since 2002 and now covers more than 250 public institutions. It assesses the effectiveness of Korean public sector organizations in implementing the government’s anti-corruption policies and initiatives. Every year, all assessment scores are publicized and organizations are ranked. As such the AIA is a motivational tool for the heads of public institutions to put in place and improve institutional measures that prevent corruption. The workshop marked the first major activity of a joint UNDP-ACRC pilot project, supported by USPC and the UNDP Global Anti-Corruption Initiative (GAIN), which aims to increase Vietnam’s capacity, efficacy, and political will to monitor institutional measures for corruption prevention in the public sector. The project utilizes a triangular development cooperation modality involving UNDP, Korea, and Vietnam, with USPC and UNDP Vietnam as a “translator” and facilitator of knowledge sharing and application of Korea’s approaches to anti-corruption. Anti-Corruption in recent years has become a key policy priority in the Government of Vietnam, and the Government Inspectorate issued a new law to assess the country’s corruption situation and monitor anti-corruption work in the Government and the public sector. In this context, Korea’s AIA was identified as a useful reference point to improve the effectiveness of these efforts. 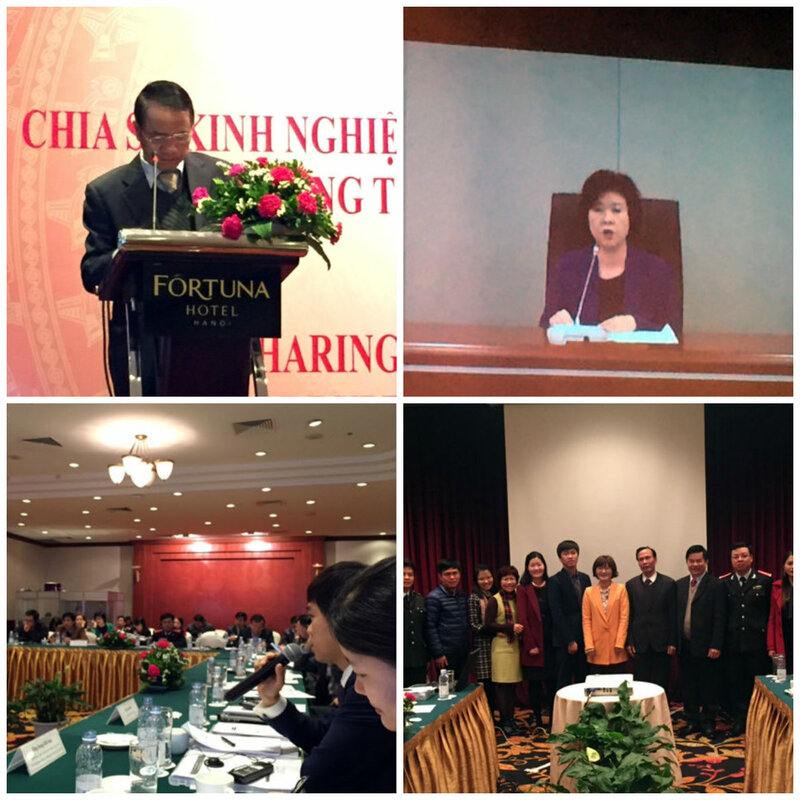 The AIA was shared in an interactive format with some 60 Vietnamese government officials through a combination of peer-to-peer discussions and Q&A sessions with the Government Inspectorate Taskforce, as well as a larger workshop that was chaired by the Deputy General Inspector of Vietnam (Vice-Minister level) and attended by key stakeholders, including from several provinces. “Effective corruption prevention is becoming more important than ever in Korea and elsewhere around the world. And prevention pays off—this is the underlying message from Korea’s experience,” said the Vice Chairperson of the ACRC in her opening speech delivered through a video message. The Director and Deputy Director of ACRC’s Survey and Evaluation Division delivered technical presentations on the AIA methodology, using a 100-page Guidance Note that had been translated and shared in advance with the Vietnamese counterparts. Vietnam’s government partners also presented their existing anti-corruption efforts and instruments in a comparative context, as well as a draft action plan with their ideas to apply the AIA approach to the Vietnamese context in the near future. The pilot project is part of USPC’s Development Solutions Partnerships (DSPs), which is an approach for USPC, initiated in 2014, to act as a knowledge broker and facilitator to connect Korea with the wider UNDP network and enhance the Korea-UNDP partnership on strategic development issues. Anti-corruption is one of the key areas of USPC’s current work. USPC was established in 2011, tasked with representing UNDP in Korea, working with Korea on international issues, and on sharing Korea’s development experiences and lessons learnt with other countries through UNDP’s global network.